Omen meets Pascal. 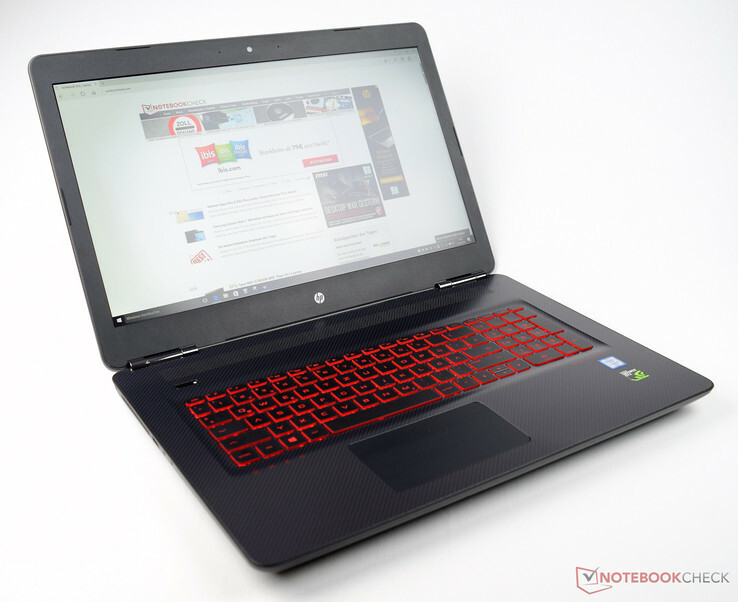 After other manufacturers of high-end laptops already equipped their systems with the latest Nvidia GPU generation, HP now follows with the Omen series and launches a gaming machine for an appealing price. But is the price-performance ratio right? We will find out. Many manufacturers already did it, and HP now follows them and equips their gaming laptops with Pascal GPUs from Nvidia. 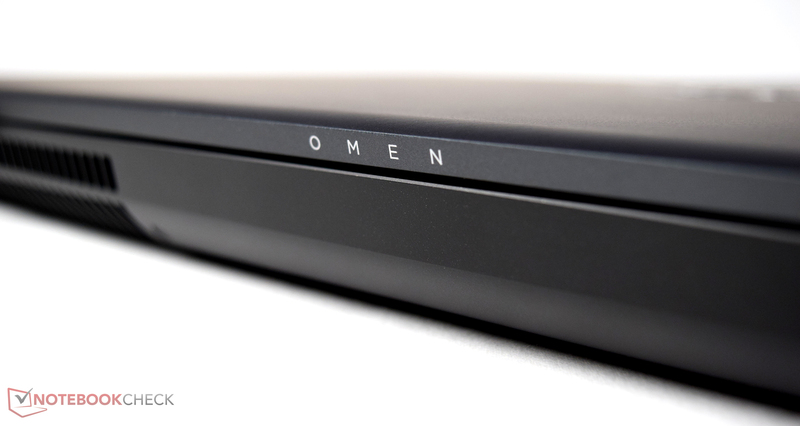 These gaming systems carry the designation "Omen". We just reviewed the predecessor with the Maxwell GPU four months ago, and the brand-new test model was once again kindly provided by the online shop Notebooksbilliger. The shop currently lists six different SKUs, but all models are equipped with the same Intel Core i7-6700HQ. There are differences in respect to the graphics card (GTX 1060 vs. GTX 1070) and/or the memory (8 GB vs. 16 GB DDR4). HP uses either a hybrid storage solution consisting of a conventional hard drive as well as a fast SSD or just a 512 GB SSD. Our test model (HP Omen 17-w110ng) comes with the fast Skylake CPU as well as 8 GB DDR4 RAM and the Nvidia GeForce GTX 1070 with 8 GB VRAM. 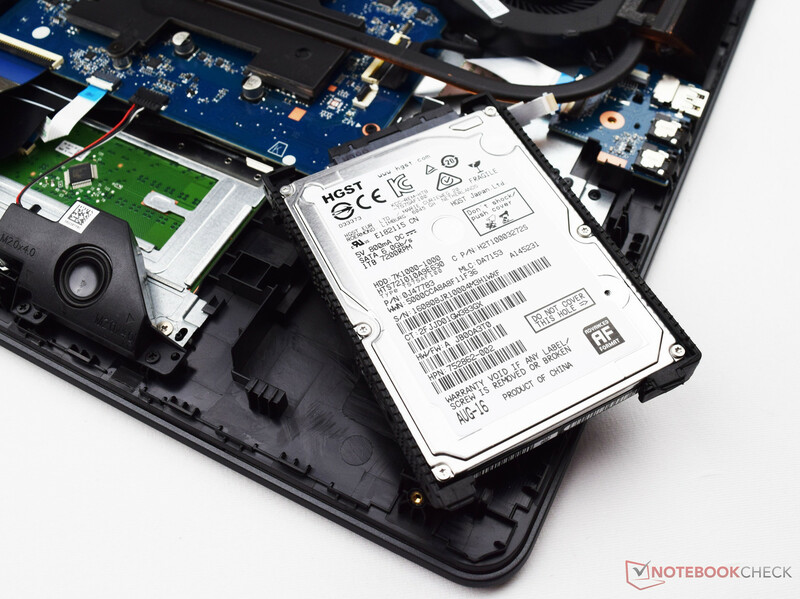 The storage solution consists of a 1 TB 2.5-inch hard drive as well as a 256 GB M.2-SSD (2280). The matte 17-inch display has the Full HD resolution of 1920x1080 pixels. This package currently retails for 1799 Euros (~$2006), while the entry-level SKUs start at 1599 Euros (~$1783). The latter are equipped with the slower Nvidia GeForce GTX 1060. 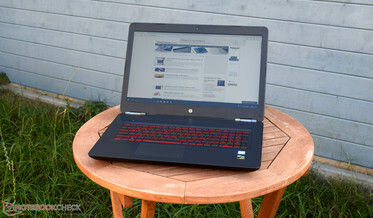 2199 Euros (~$2452) is the price for the most expensive HP Omen (17w107ng), and the top model is shipped with a UHD panel (3840x2160 pixels) as well as a 512 GB SSD. 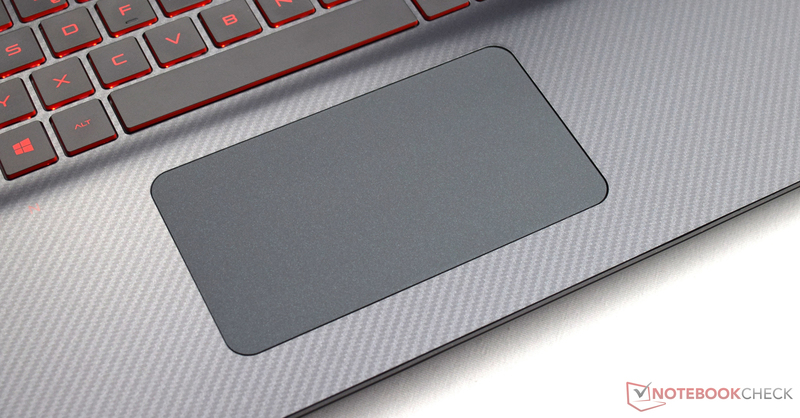 The design of HP’s current Omen series is similar to the predecessor, so we can once again find the mesh pattern on the lid as well as the palm rest. 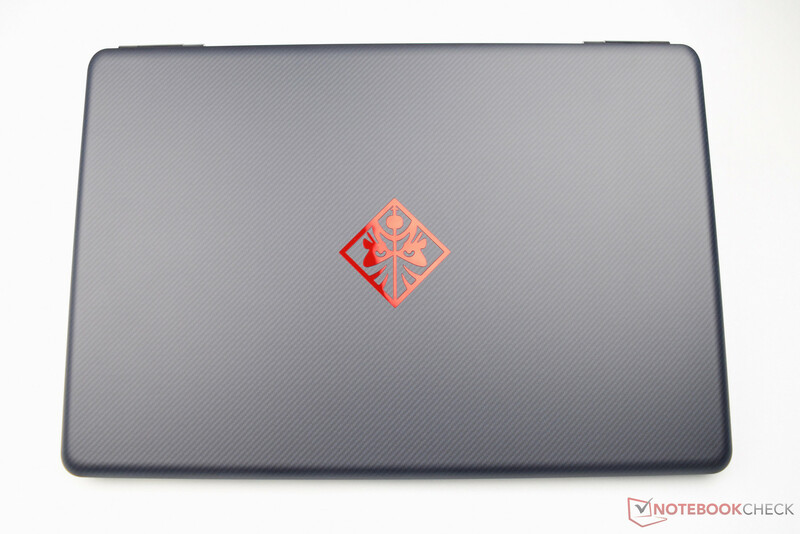 The red Omen logo is on the center of the lid and confirms that this is a gaming laptop from HP. The black-red design gives the gaming system a special look and it is pretty easy to distinguish from other systems. Thanks to the red keyboard illumination, this design language also continues when the lid is open and creates an overall good impression. Only a closer look will reveal minor design changes. The optical drive was waived, and the battery is now integrated. Nothing changed in terms of quality, which means the new version cannot quite meet the expectations. HP only uses plastics for the chassis. All material transitions are very clean and there are no conspicuous gaps. The stability of the base unit is good and it can only be warped with a lot of pressure, but this changes when we move to the display cover. It can be twisted quite easily and this will result in slight color distortions on the panel. We would have liked a sturdier display frame as well. The bezels are made of very thin plastic, so even light pressure will result in inconvenient creaking sounds. The metal display hinges work well and keep the display in position, but you need both hands to open the lid. At the bottom is a small maintenance hatch, which is secured by two small screws. It gives access to the two memory slots. Getting access to all the other components requires a disassembly of the whole bottom panel. This procedure should only be performed with professional tools to avoid any damage. 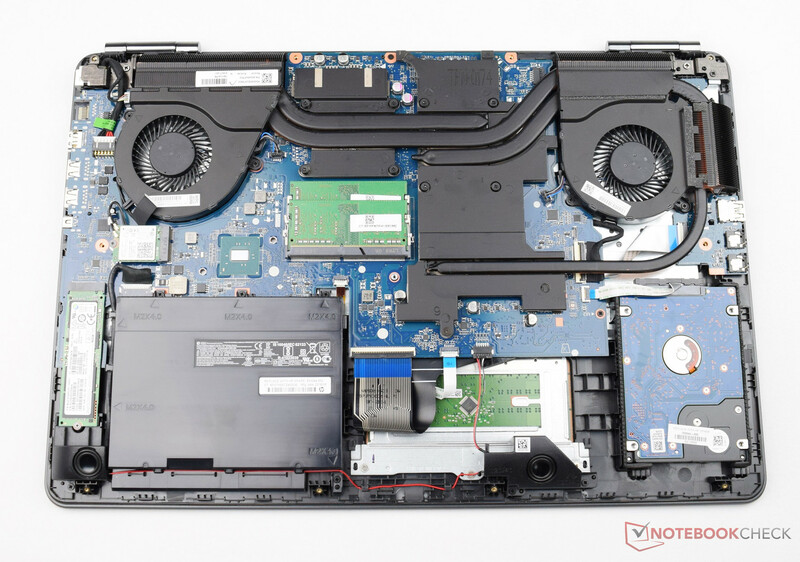 Our size comparison shows that the footprint of the rivals only differs by a couple of millimeters – the Asus G752VS is the only exception here. The thickness only differs by a couple of millimeters as well. 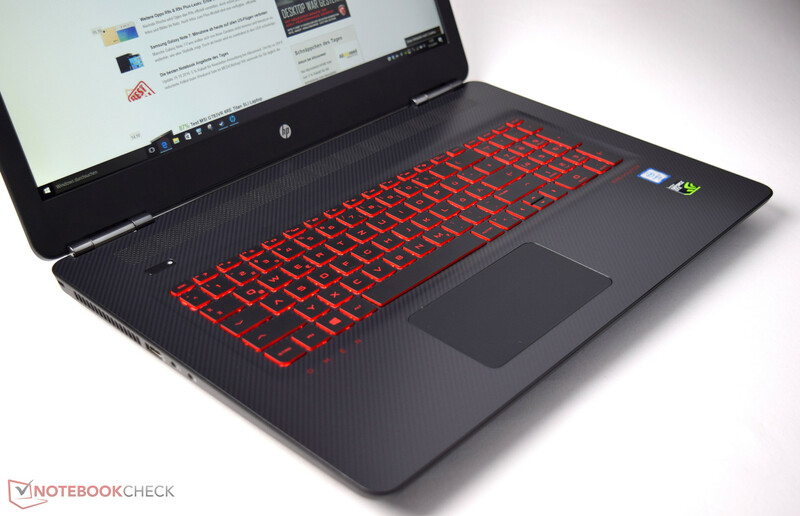 The new HP Omen with the Pascal GPU is about 3 millimeters (0.1 in) thicker than before, and the weight of the 17-inch model was also increased by about 500 grams to 3.3 kg (1.1 and 7.3 pounds respectively). This means the HP is not a lightweight anymore, but the Asus G752VS is still a lot heavier at 4.5 kg (9.9 lb). Considering the components and their level of performance, 3.3 kg (7.3 lb) are a good compromise. The ports of the HP Omen are almost exclusively located at the right side of the chassis, which is clearly a disadvantage for right-handers since there can be collisions with attached peripherals or cables when you use an external mouse. 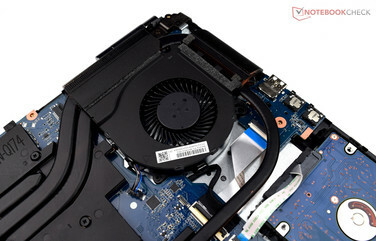 We already mentioned that the Omen 17-w110ng is shipped without an optical drive, and there is no internal tray for it, either. This means you will have to use an external DVD or Blu-ray drive. A closer look at the port selection is a bit sobering because HP is not really up to date here. The lack of an optical drive can be compensated pretty well, but only three USB 3.0 ports are insufficient in this class nowadays. External monitors can be attached via HDMI or Mini-DisplayPort. They are in close proximity to the USB ports on the right side. The spacing between the individual ports is also small, so wider USB thumb drives can easily block adjacent ports. Finally, HP equips the system with an Ethernet port, two separate stereo jacks for headphones and microphones as well as an SD card reader. We would like to see improvements in terms of ports for the next generation of Omen devices. 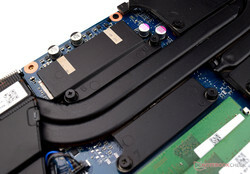 The card reader is located at the right side of the chassis. It supports all common standards like SD, SDHC, and SDXC. Inserted cards will be flush with the case and not stand out. 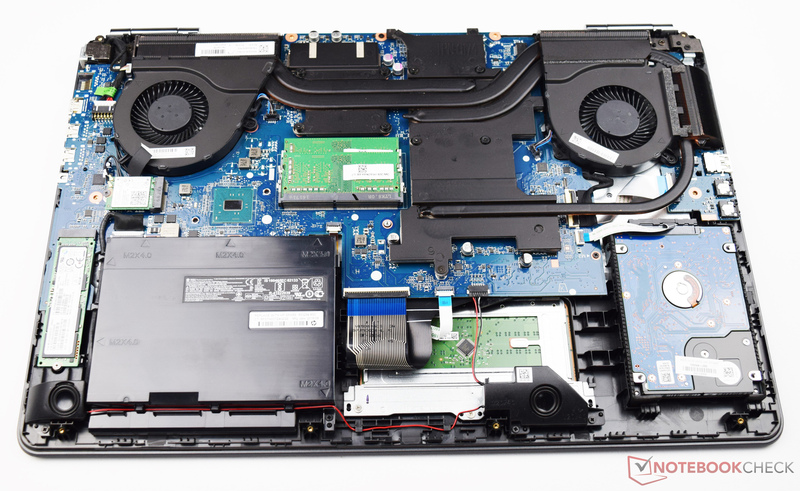 We check the performance of the reader with our reference card Toshiba Exceria Pro SDXC 64 GB UHS-II. We copy 250 identical jpg-files from the memory card to the hard drive, and the average transfer rate from three runs is 76 MB/s. This is a good result, which is also confirmed by our comparison table. Only the MSI GS73VR falls behind a bit, all the other comparison devices are pretty much on par. We also check the sequential read performance with the tool AS SSD and get 87 MB/s as a result, so the HP Omen 17-w110ng only falls behind the Gigabyte P57X v6. 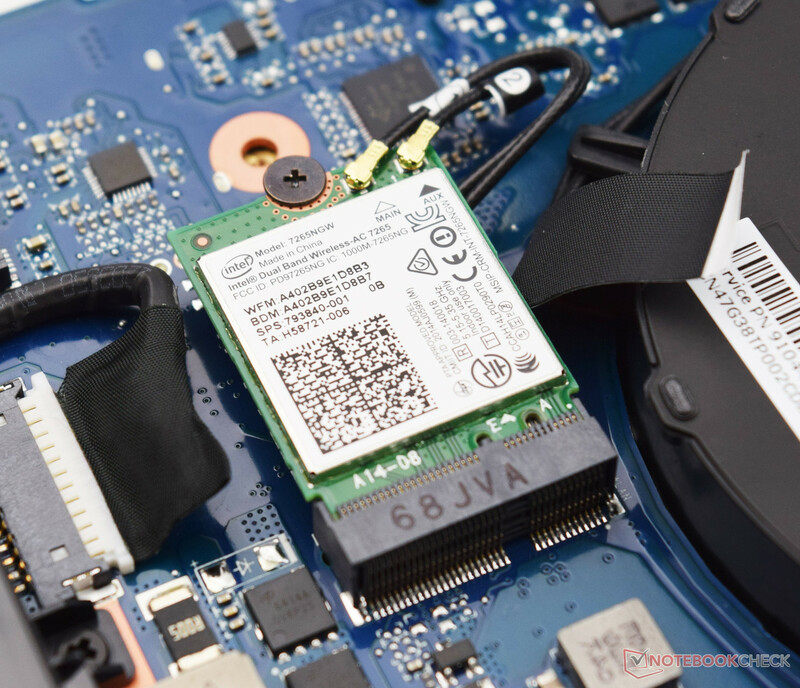 Wireless communications are handled by the Intel Dual-Band Wireless-AC 7265 module, which also supports Bluetooth. In addition to the familiar standards IEEE 802.11 a/b/g/h/n, the chip also supports the faster ac-standard. The theoretical transfer rate is specified at 867 Mbps, and the HP Omen 17-w110ng can manage an excellent result of 676 Mbps (receive) and 529 Mbps (send) in our practical WLAN test. The latter is a bit lower compared to the MSI GS73VR 6RF, but the advantage of the MSI (send) is so small that both systems are basically on par. The subjective performance impression is similar, and the signal quality was very good during our time with the device. Even large amounts of data were transferred quickly and reliably. 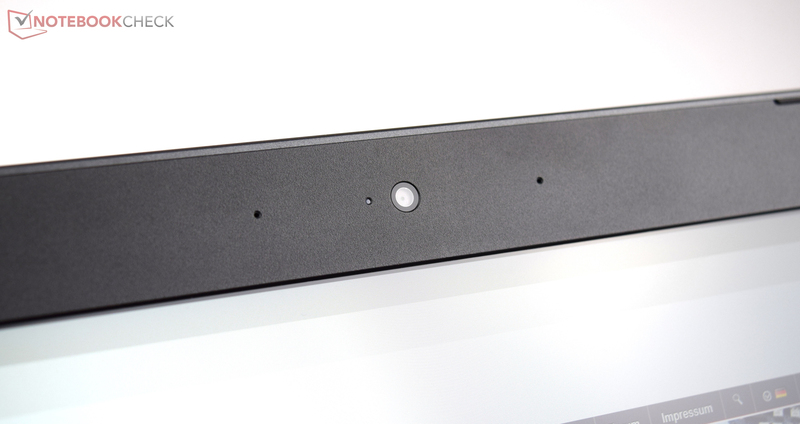 Besides the possibility to use wireless networks, the HP Omen 17-w110ng can also be used with wired networks via a Gigabit Ethernet port. There is no criticism here, either. 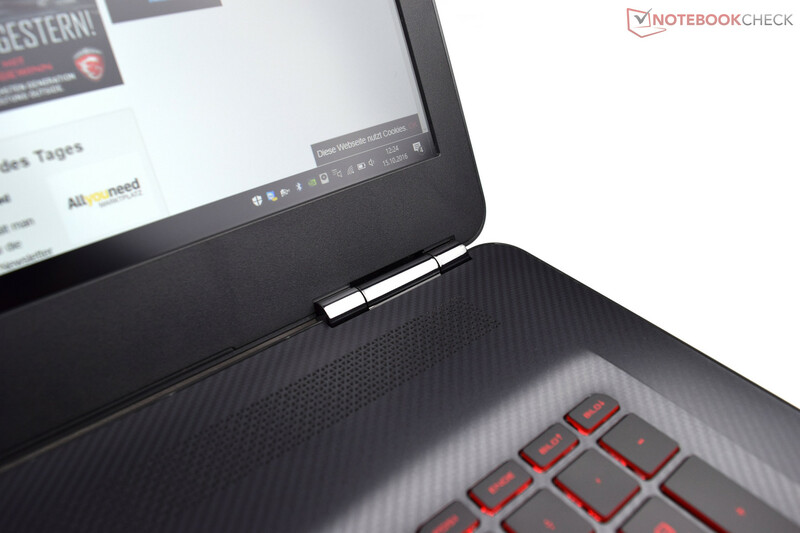 Our test model comes with a slot for a Kensington Lock, and HP also equips the Omen 17-w110ng with a Trusted Platform Module 2.0 (TPM). 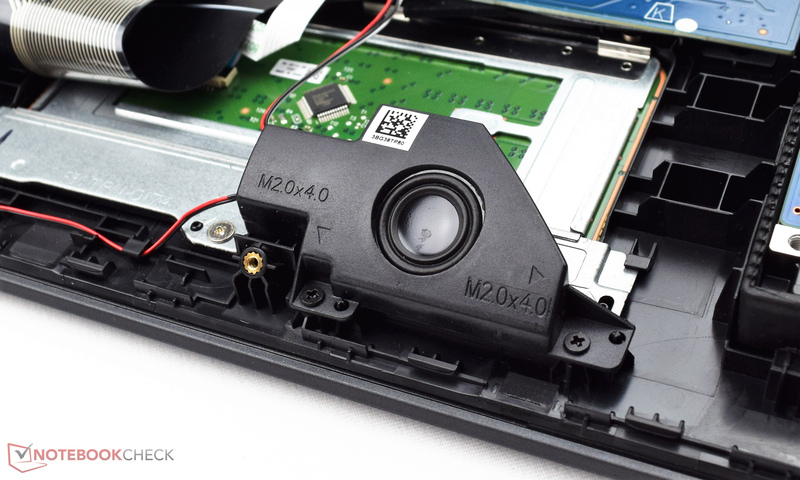 A fingerprint scanner, which is available on the Nexoc G734III, for example, is not included. The accessories are very limited. The box only includes the notebook itself, a 230-Watt power adapter, a quick-start guide and some service brochures. Useful additions would be a cleaning cloth and a USB drive with the most important drivers. Considering the lack of the optical drive, an external drive would be nice as well. Nexoc does just that with the G734III. The HP Omen 17-w110ng is shipped with the operating system Windows 10 Home 64-bit. You can only maintain the system after you have removed the bottom panel. 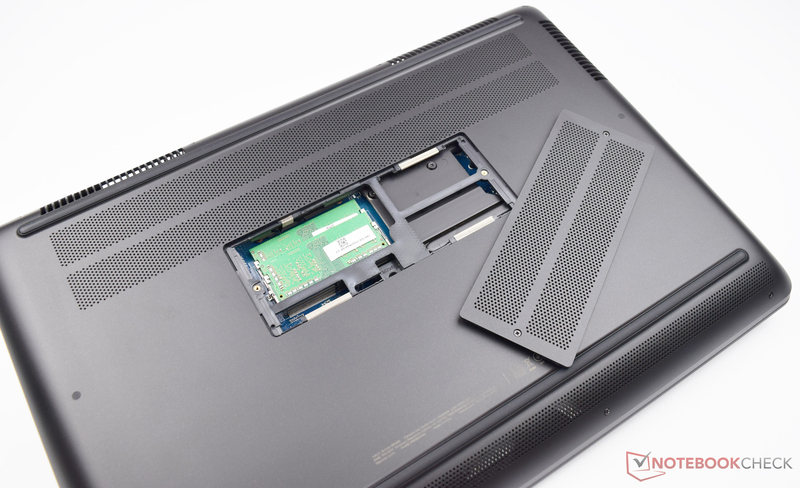 The laptop does have a maintenance hatch, but it only reveals the two DDR4-RAM modules. You should be very careful when you remove the panel because there are still numerous plastic clips after you have loosened all the screws. They can easily break, so you should definitely use the proper tools for further disassembly. 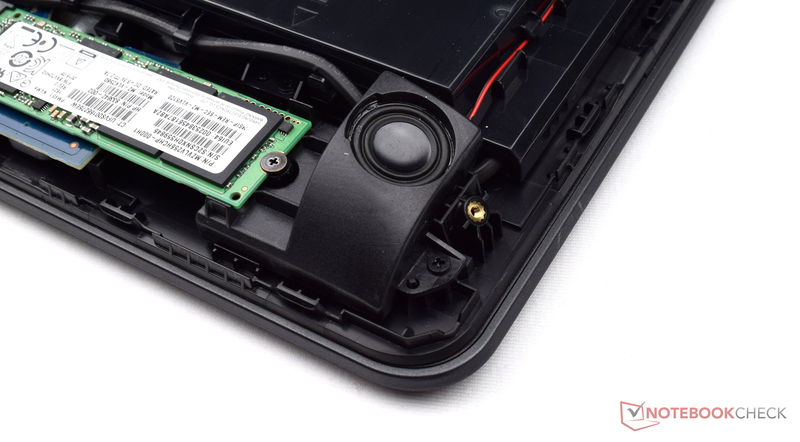 The small service hatch only reveals the two memory modules. The bottom panel should be disassembled with proper tools. HP grants a two-year warranty (Collect & Return). HP did not change the keyboard compared to the previous model. The chiclet input is still well integrated into the base unit and has a subtle red background illumination, which can also be deactivated. However, we do not recommend that in practice, because the red lettering is otherwise hard to read. White letters would have been a better alternative. The size of the individual keys (15 x 15 millimeters) is good, and the typing sounds are not overly loud, but not silent, either. All keys are on one level and have a spacing of 3 millimeters. The surface of the keys is matte, but not roughened. Pressure point as well as stroke are clearly perceptible, but could be a bit firmer for better feedback. A bit unusual are the small vertical direction keys. There is no spacing between the two, so typos are not uncommon. An advantage of the HP notebook is the dedicated numeric keypad. 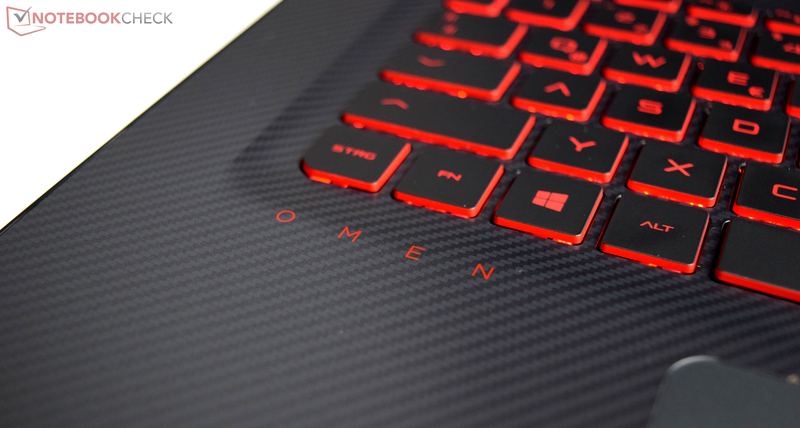 After you open the lid of the Omen 17-w110ng, you will quickly notice the touchpad. We immediately wanted to ask HP if they are serious. The dimensions are rather small for a 17-inch system. The width is actually okay at 12 centimeters, but a height of just 6.5 centimeters (4.7 x 2.6 inches) does affect the handling. The manufacturer probably thinks that you will use an external mouse most of the time anyway. The lack of stability is still the biggest problem. 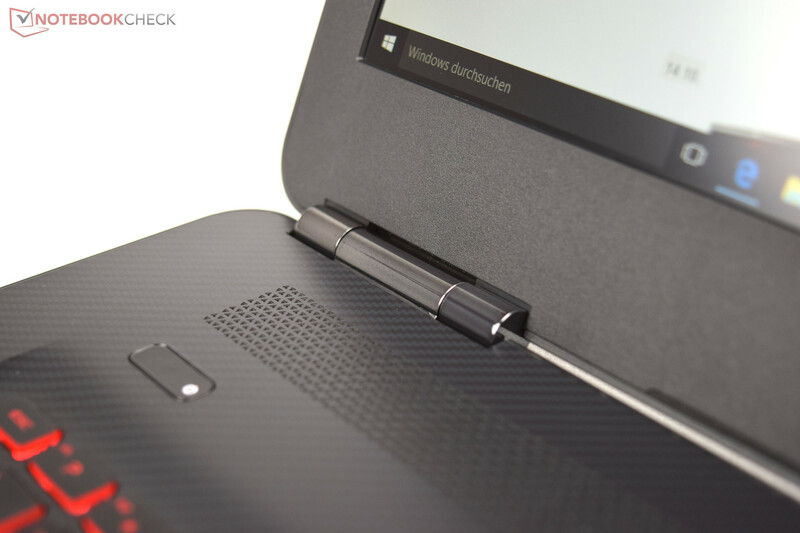 The touchpad leaves a cheap impression, which is supported by the clicking sound. The surface is similar to the keys and provided good gliding capabilities. Gestures work well, but this cannot really save the overall impression. HP does not take any risks in terms of display and uses a good panel from LG. It is a matte 17-inch IPS display with a native resolution of 1920x1080 pixels, which results in a pixel density of 127 PPI. 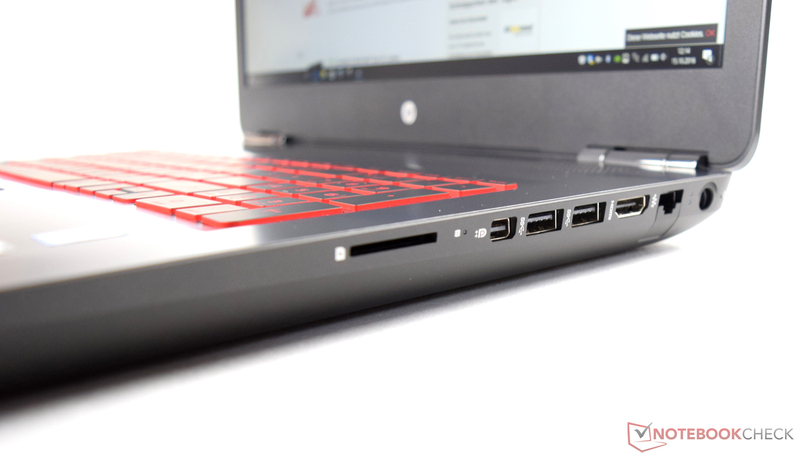 The system is also available with a 4K screen (HP Omen 17-w107ng). 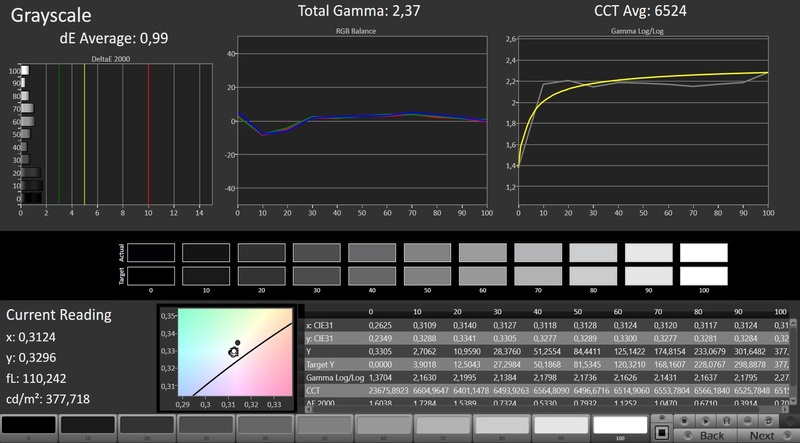 Our test sample does not have to hide with an average luminance of 342 nits, and the brightness distribution (87%) is good as well. This means the HP can keep up pretty well with the rivals, even though some of them are much more expensive. All in all, we cannot criticize the system. HP really equipped the Omen 17-w110ng with a very good panel for this price range. 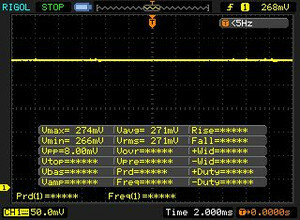 The panel also deserves praise for the lack of PWM, because screen flickering caused by pulse-width modulation is no problem here. 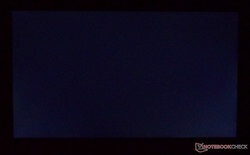 That we cannot notice any backlight bleeding is another positive aspect. 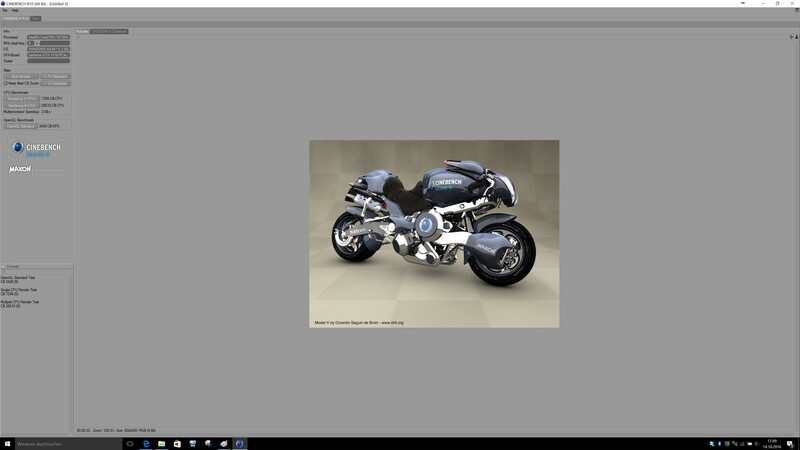 The picture quality is more than adequate thanks to the good results. The high contrast ratio (1168:1) and black value (0.31 cd/m²) create a rich picture with good colors and blacks. We can measure DeltaE-2000 deviations of more than 3 ex-works (ColorChecker 4.5, grayscale 3.48), but a calibration did improve the results (ColorChecker 3.25, grayscale 0.99). We linked the corresponding ICC profile in the box above. 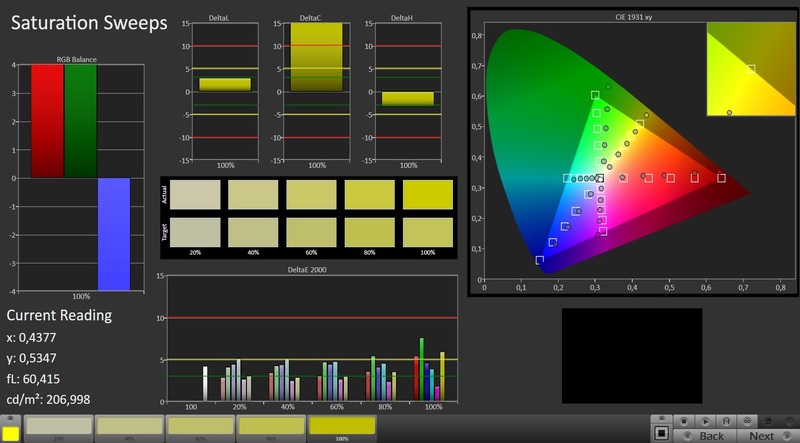 We can notice a slight yellow hue for the IPS display, but it is not noticeable in practice. The calibration did improve it a bit, too. The FHD panel can only cover the sRGB reference by 84%, and only 55% for the wider AdobeRGB color space. Still, this should be sufficient for amateur editing. As per usual for an IPS screen, the viewing angle stability is very good. 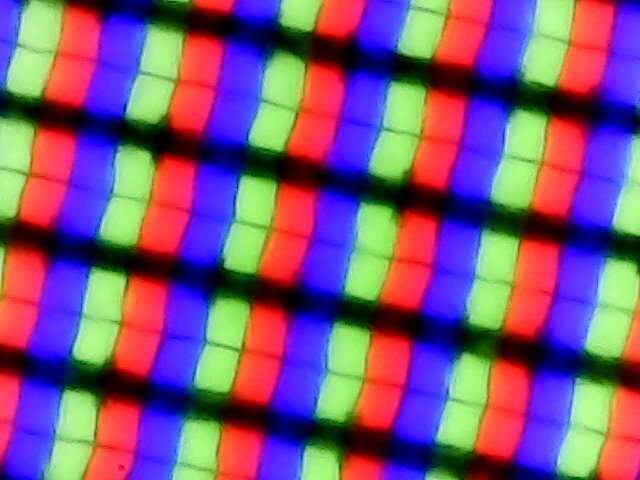 You can see the test picture without significant distortions from all angles, which is not the case for TN panels. 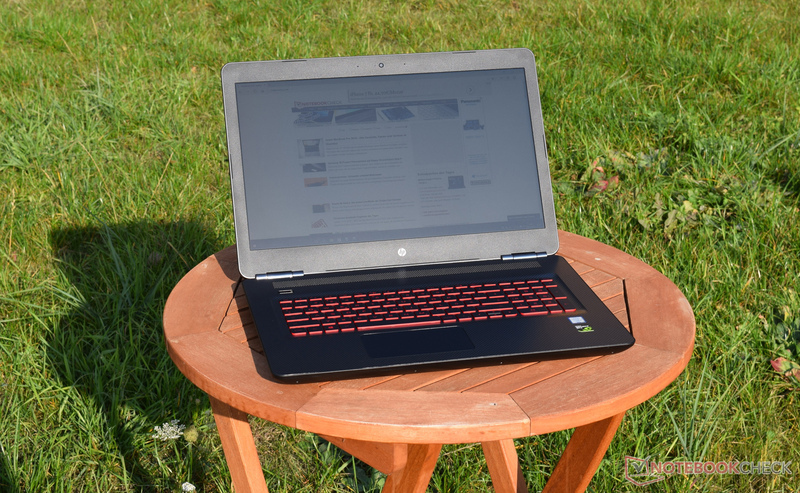 The outdoor performance of the HP Omen 17-w110ng benefits from the high luminance at 342 nits, so you can work comfortably even in bright environments. 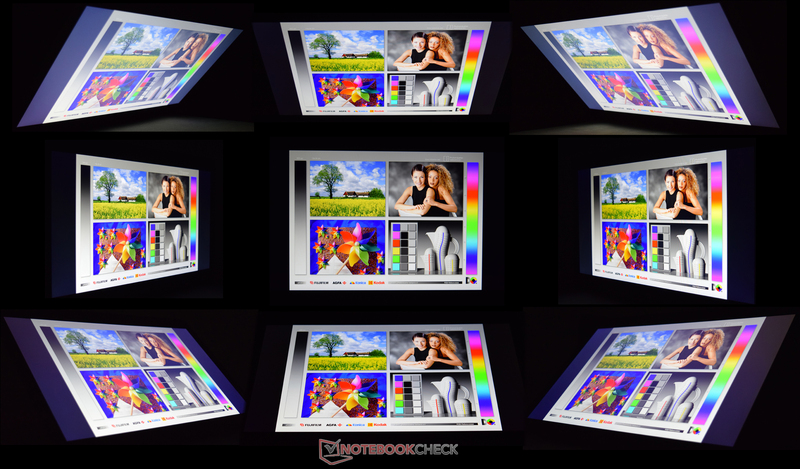 The matte panel surface plays a role as well and prevents annoying reflections on the screen. 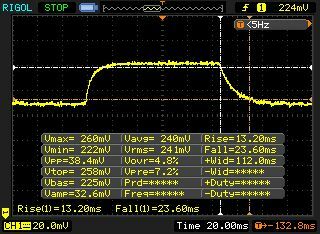 The performance of our test sample is excellent. The fast Intel Core i7-6700HQ processor provides sufficient performance, and all current games run smoothly in 1080p thanks to the Nvidia GeForce GTX 1070. This means the HP is definitely a gaming notebook. A small problem could be the memory equipment because our test model is "only" equipped with 8 GB DDR4-RAM. Subjectively, this is sufficient, but 16 GB would be better in the long run. 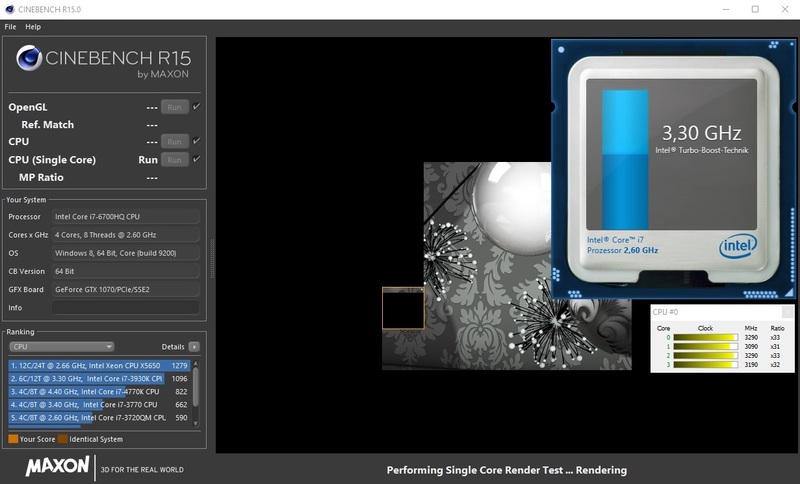 HP does not offer faster CPUs for the Omen series, and the same applies for the GPU. A more affordable alternative to the GTX 1070 is the GTX 1060. 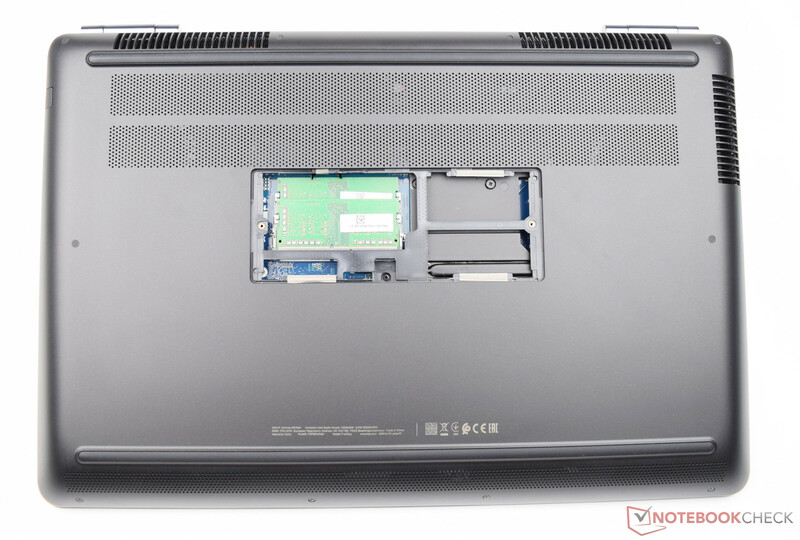 The fast quad-core processor is provided by Intel and has the designation Core i7-6700HQ. The performance utilization of the soldered 14-nm model is very good in the case of the HP Omen. 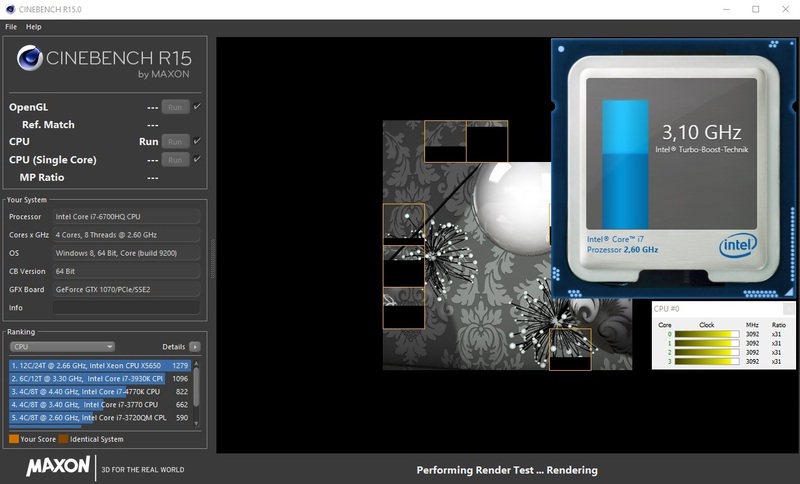 Our Cinebench R15 results show that the Turbo utilization is perfect. However, the advantage is very small compared to the rivals, so you will probably not notice any differences in practice. Only the Asus G752VS is faster, but this is not surprising when you consider the more powerful Core i7-6820HK with its free multiplier. 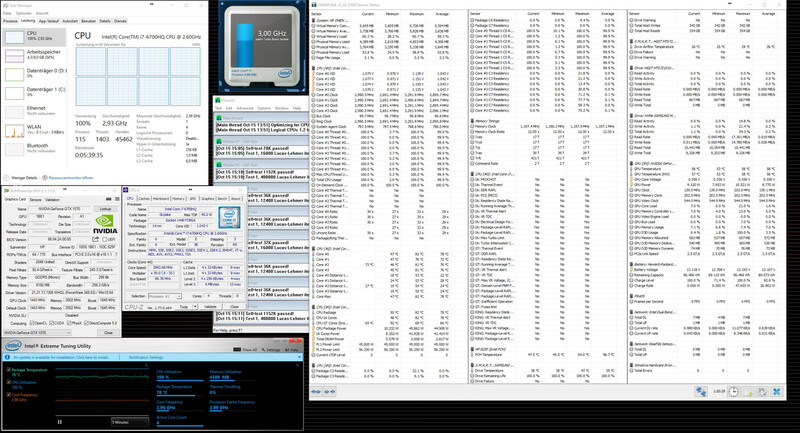 The Core i7-6700HQ is based on the Skylake architecture and has a TDP of 45 watts. Its four physical cores can execute up to eight threads simultaneously and the nominal clock is 2.6 GHz. 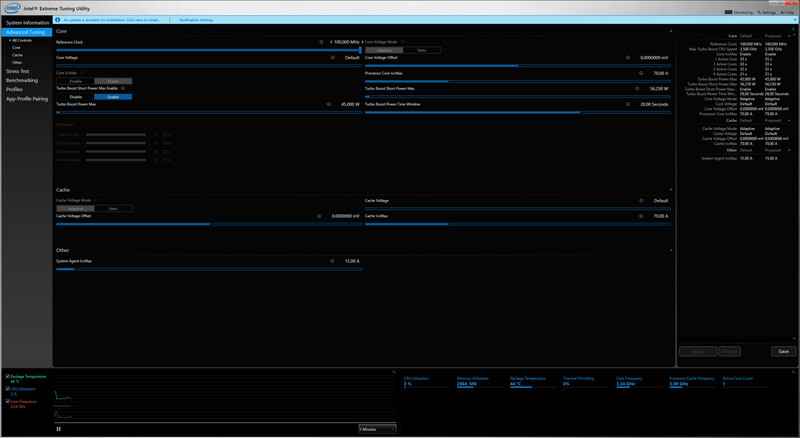 The latter can be raised to 3.5 GHz (1 core), 3.3 GHz (2 cores) and 3.1 GHz (four cores) via Turbo Boost. 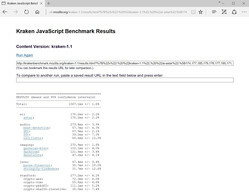 In short: The CPU performance is more than sufficient for almost every application. 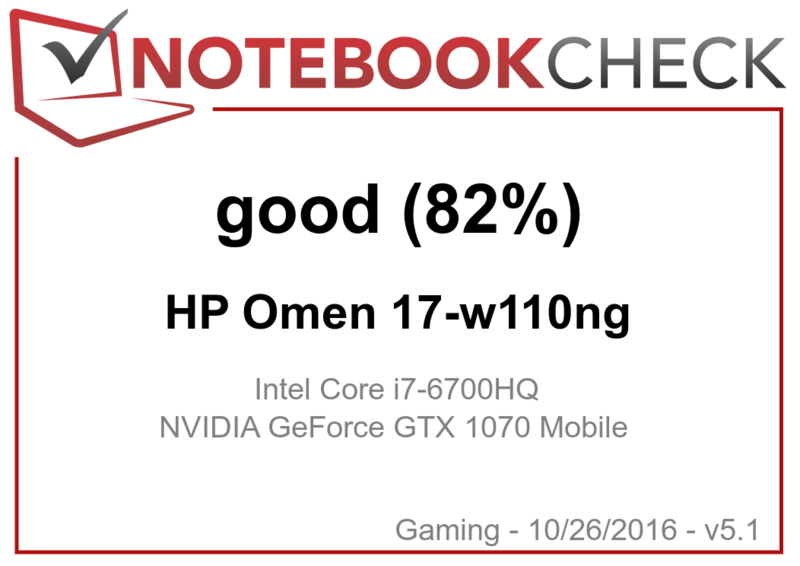 The HP Omen 17-w110ng leaves a good impression in the system benchmarks. 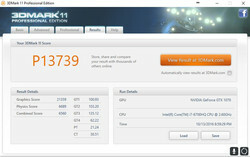 The notebook is once again in second position behind the Asus G752VS in PCMark. 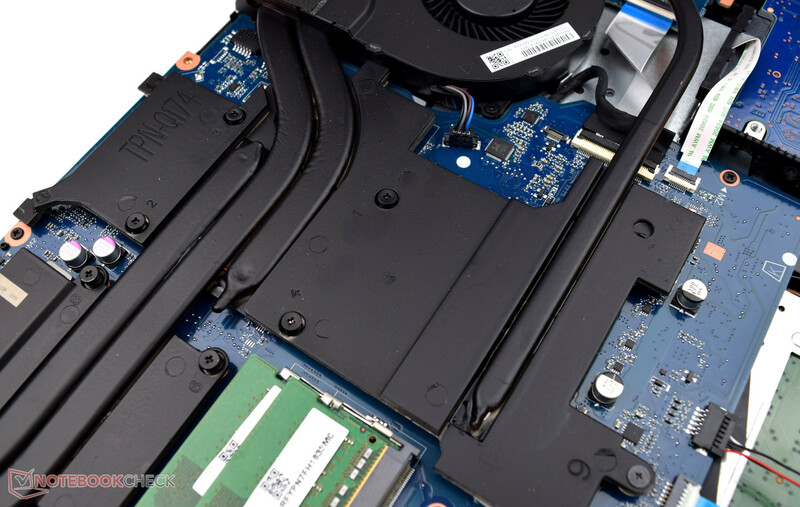 The modern M.2-SSD ensures quick boot times and a responsive system. Our initial concerns about the memory are not confirmed in practice. 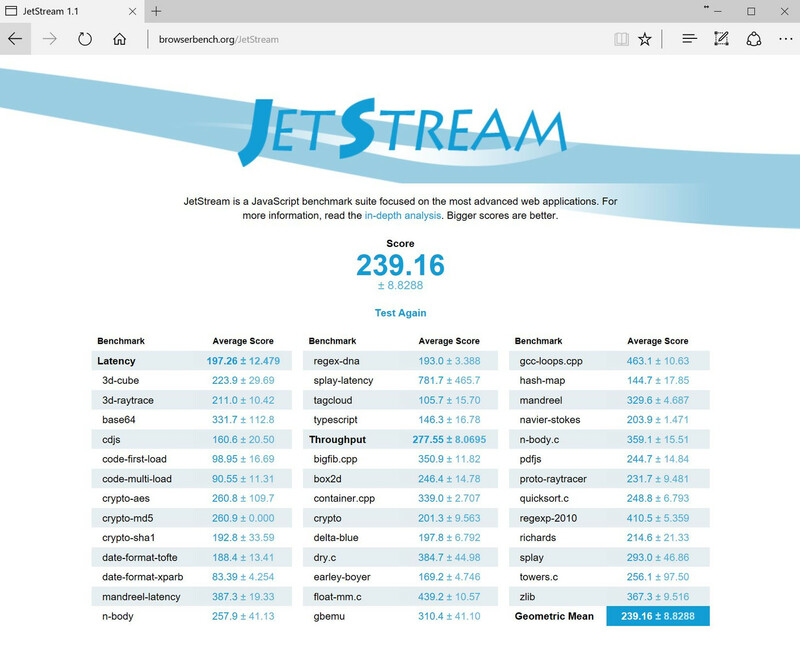 Despite 8 GB RAM, there are no noticeable delays when you load demanding applications. This might change in the future though when there are games that require 16 GB RAM. HP uses a hybrid storage system consisting of a Solid State Drive in combination with an HDD. 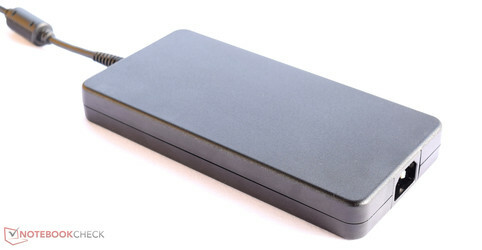 The operating system as well as small applications are stored on the SSD. 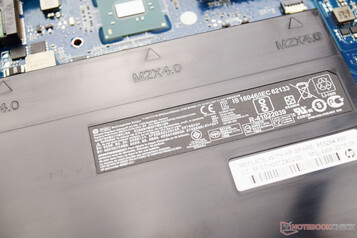 It is an M.2-2280 model from Samsung with a capacity of 256 GB. AS SSD determines good average transfer rates (read: 1339 MB/s, write: 277 MB/s), which reflect the manufacturer's specifications for the NVMe-drive pretty well. The writing speeds could be better and can be improved by replacing the default SSD with another drive. The HP Omen 17-w110ng is also equipped with a 2.5-inch hard drive from HGST to store games or videos, for example. The HDD is reliable and works with 7200 revolutions per minute. 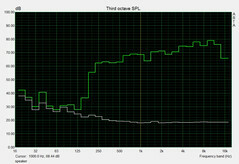 HD Tune determines an average transfer rate of 111 MB/s, which is average for this type of drive. Increasing the storage capacity is only possible by replacing the default components since our model does not have any free slots. You should also consider that you have to remove the whole bottom panel. The maintenance hatch – as we have mentioned before – only grants access to the memory slots. 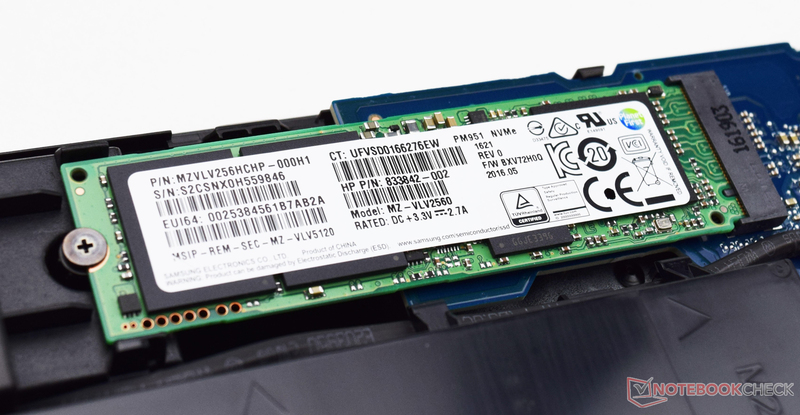 Another note on the integrated Samsung SSD: HP did not ship the system with the corresponding driver. 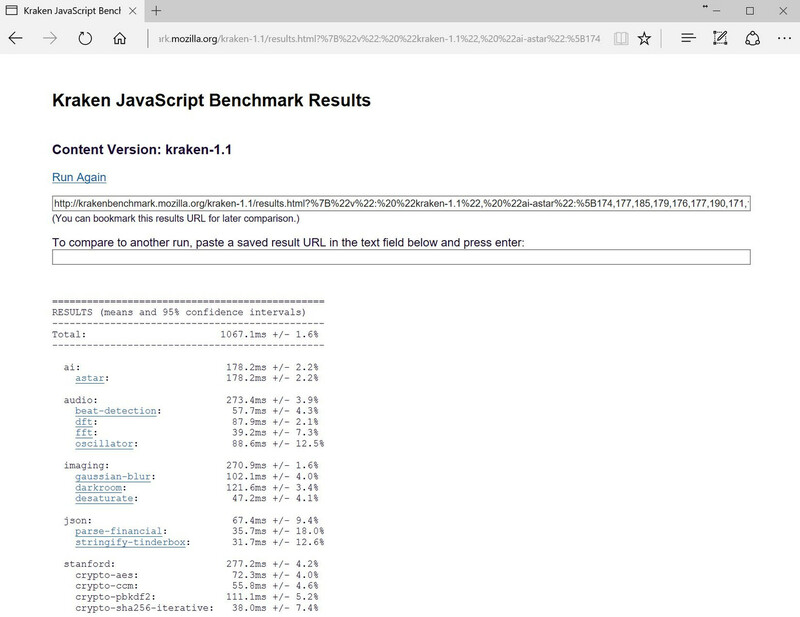 The performance figures were significantly lower without an "update", but you just have to install Samsung's NVMe drivers. 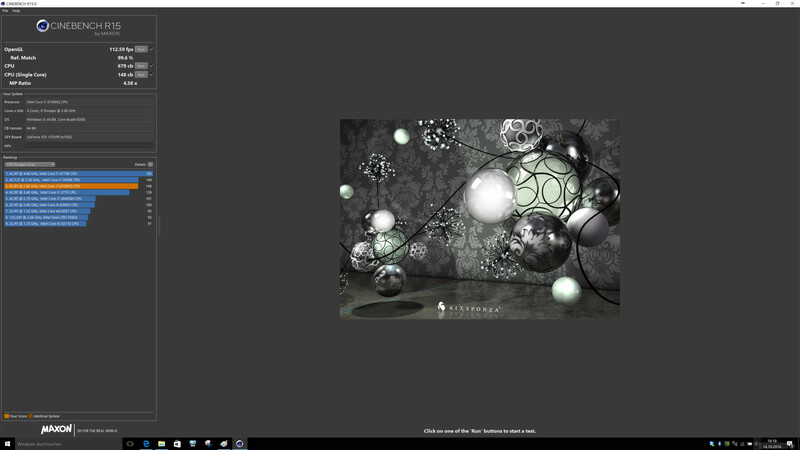 As expected, HP now uses a graphics card from Nvidia's new Pascal generation. Our test model is equipped with the GeForce GTX 1070, which is soldered onto the mainboard. The performance advantage compared to the previous generation with the GeForce GTX 965M based on Maxwell is significant. 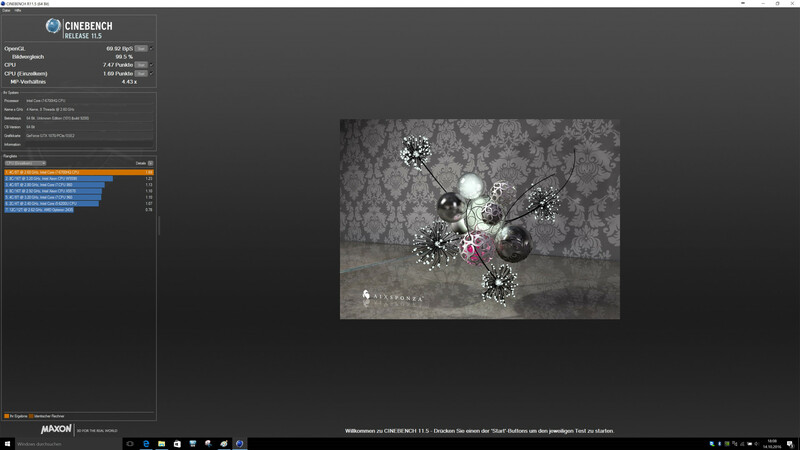 The 3DMark results show a clear picture because the new model is between 150-170 percent faster. All in all, the situation is similar to the PCMarks and the results are good. 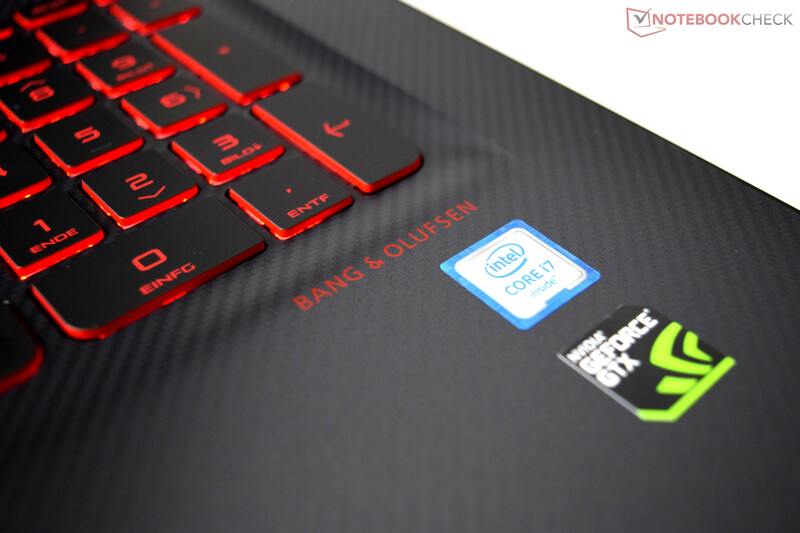 Asus' G752VS once again comes out ahead, followed by the HP Omen with the Pascal GPU. The dedicated 16-nm model comes with 8 GB GDDR5-VRAM, which is particularly good for triple-AAA titles from 2015-2016. The GeForce GTX 1070 is clocked at 1443-1645 MHz by default. All games can be played smoothly in Full HD and maximum details. VR is not a problem for the Omen 17-w110ng, either, which is confirmed by the SteamVR Performance Test. 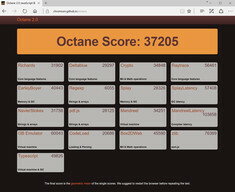 The pure gaming performance of the laptop is very good. 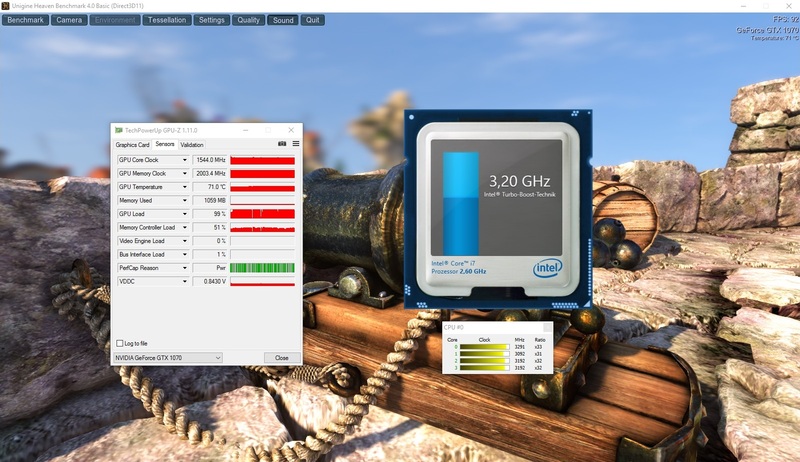 All tested games run smoothly, and the performance of the GPU is often even sufficient for 4K. The only exceptions are XCOM 2 and Mafia 3 so far. 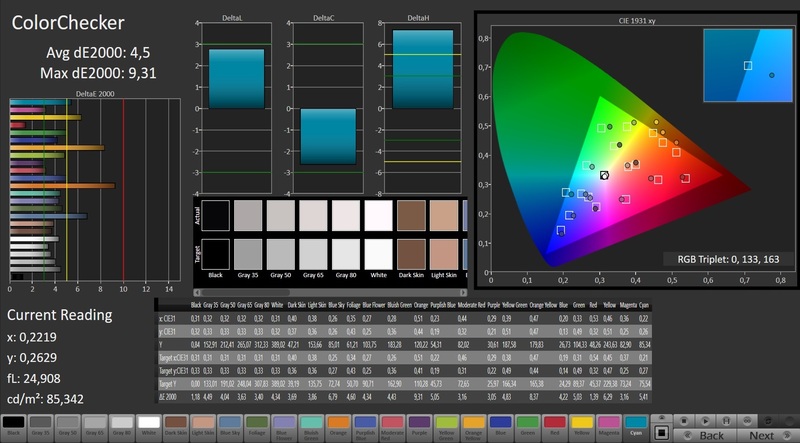 The latter in 4K is still a challenge for desktop systems equipped with high-end GPUs. Battlefield 1 on the other hand, which was just released, is no problem in UHD. The available performance is quite good for this class of devices. If you want even more frames per second, you will have to look for a system with the GeForce GTX 1080. Otherwise, there are also SLI configurations, but this would also means a much higher price range. 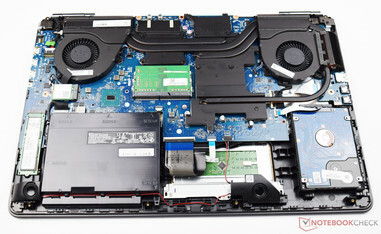 The noise development should not necessarily be the most important aspect for a gaming notebook. The average noise of 45 dB(A) in 3DMark 06 is a bit higher compared to the old model. The measurements are okay within the high-end competition, especially since our test model is comparatively thin at 33 millimeters (~1.3 in). All rivals are within +/-10% on average, so there is no clear winner or loser in this section. 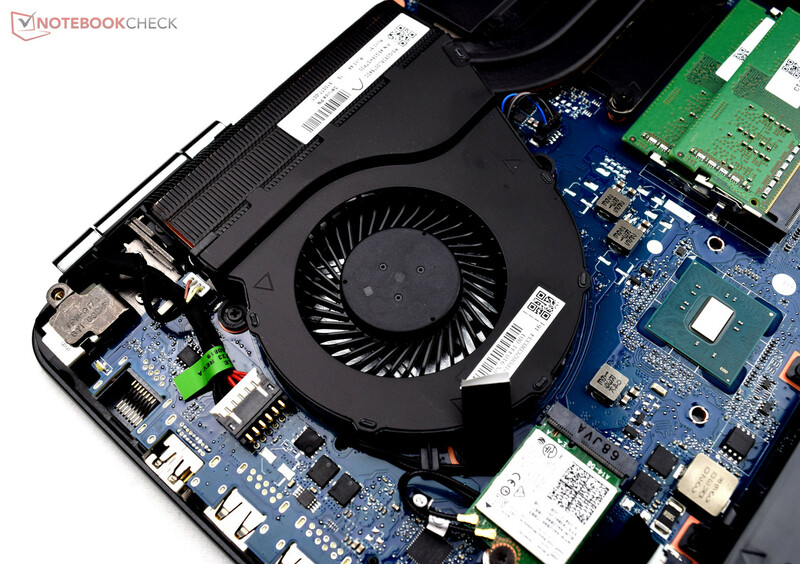 We can notice a slight murmur from the HP laptop while idling, but it is not annoying. The two fans are always running, but the resulting idle noise is usually dominated by the mechanical hard drive. 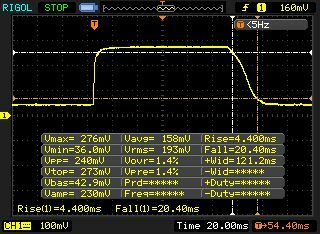 Our Pascal test model performs similar to the previous generation in this section. 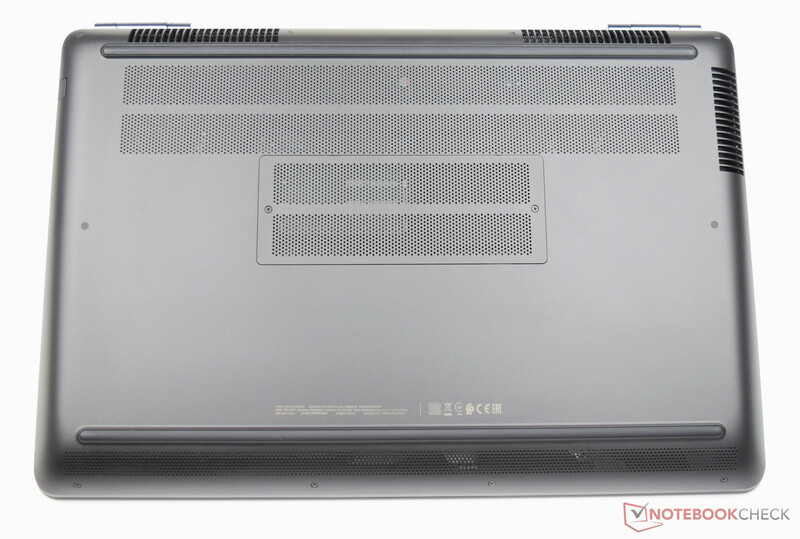 The chassis is conveniently cool while idling and no area exceeds 30 °C (86 °F). Sustained workloads, simulated by the tools FurMark and Prime95, result in a noticeable temperature increase. 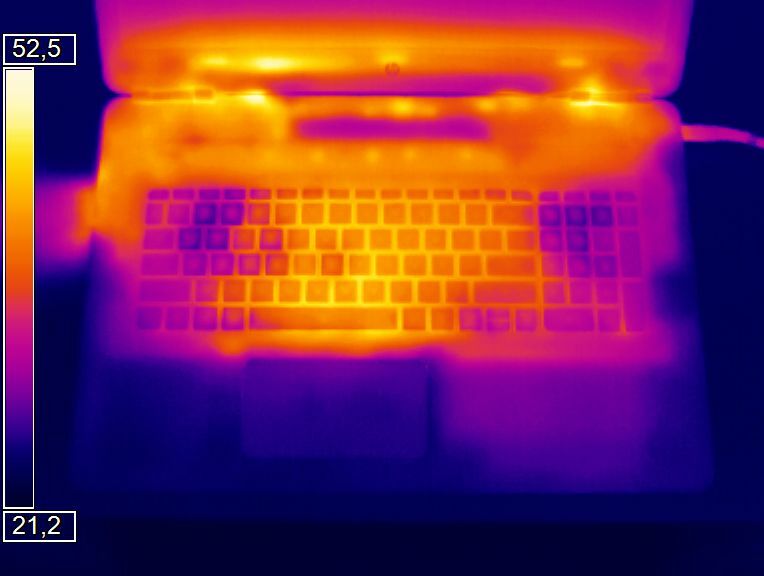 After one hour, we can measure up to 54.3 °C (129.7 °F), but rivals like the Nexoc G734III, MSI GS73VR, and Gigabyte P57X get even hotter at up to 66 °C (150.8 °F). Still, you should not use the laptop for gaming sessions on your lap. We recommend using the device on solid surfaces to ensure good air circulation. It is also hot inside the chassis. 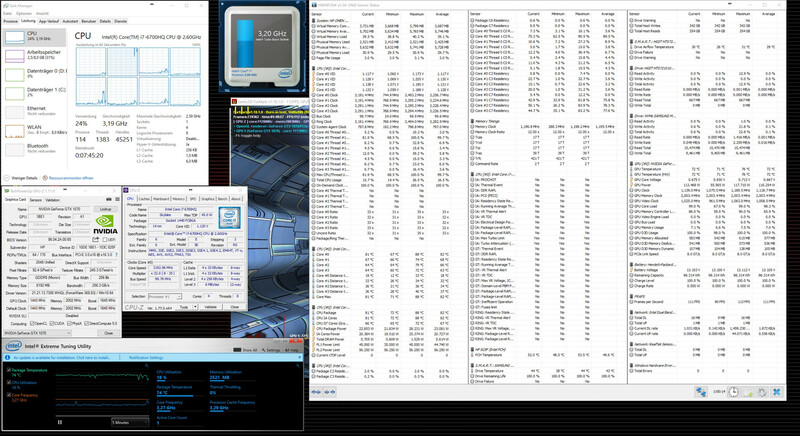 The stress test is executed with 2.8 GHz by the CPU, which warms up to almost 90 °C (194 °F). 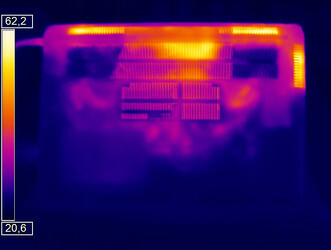 The GeForce GTX 1070 (slight throttling) only reaches up to 80 °C (176 °F). 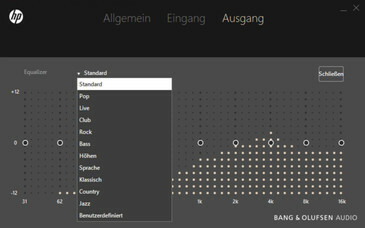 HP continues to implement speakers from Bang & Olufsen. Because of the low height, however, there is not a whole lot of space for decent sound equipment. This problem is not limited to HP though. 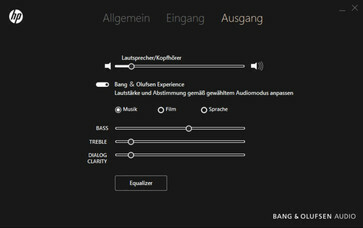 The software from Bang & Olufsen does offer some settings, but you will need a good headset or an external 2.1 sound system if you want excellent sound quality with powerful bass. The integrated speakers produce a decent sound, which is sufficient for the occasional gaming session. The volume is more than adequate and the sound does not distort, even when you crank it up. … adjust the sound to your own preferences. The 17-inch system leaves a good impression in our consumption measurements. A maximum value of 193 watts for the Omen is average within our comparison. The higher figures compared to the previous model are a result of the more powerful graphics card. The average consumption under load is decent at 90 watts. Both the Nexoc G734III and the Asus G752VS are almost on par, but the Nexoc has an advantage while idling thanks to the graphics switching and consumes about 20 percent less power. 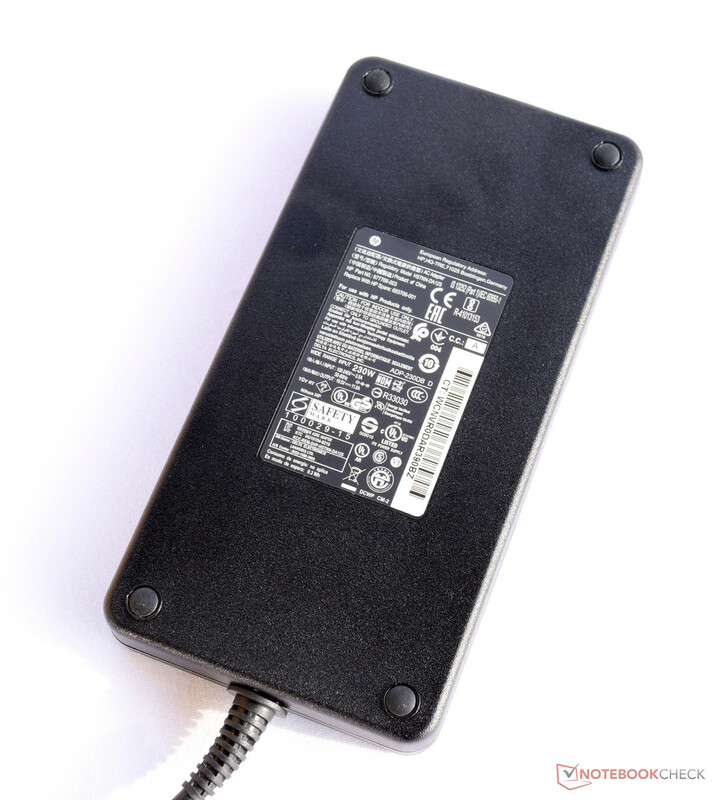 The power adapter has a rated output of 230 watts, so it is sufficient for the consumption and the battery is not discharged under maximum load (on mains). 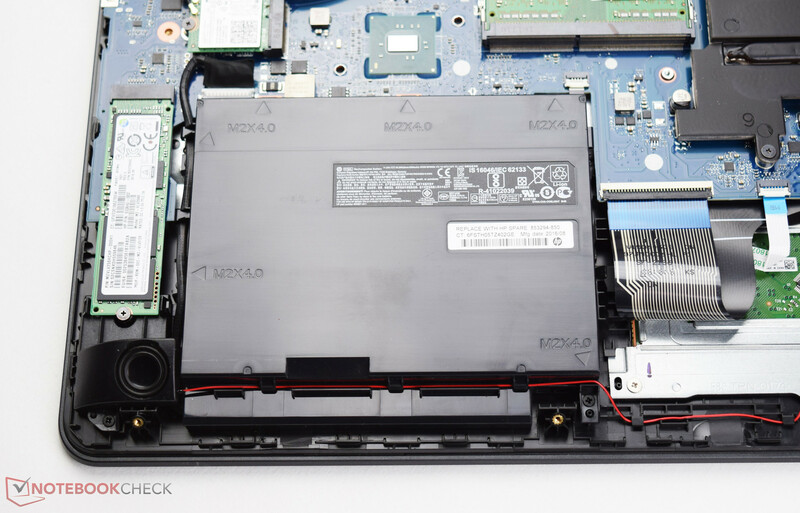 HP also used the Pascal update to increase the battery capacity – the 95-Wh module is the biggest within the comparison. 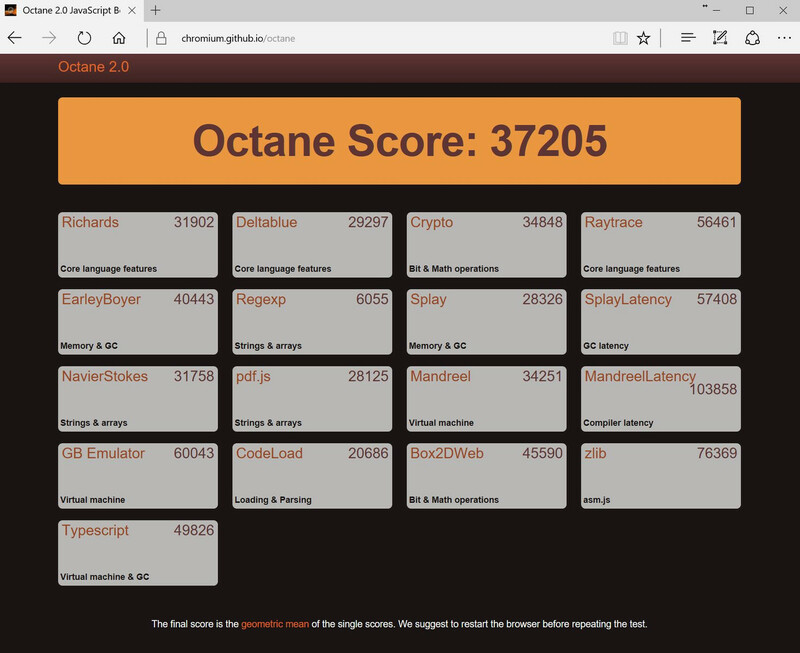 The result is a load runtime of 1:55 hours for the Omen 17-w110ng with the highest luminance (Battery Eater Classic Test). This is almost 50% better than the previous model, which was still equipped with a 62-Wh battery. 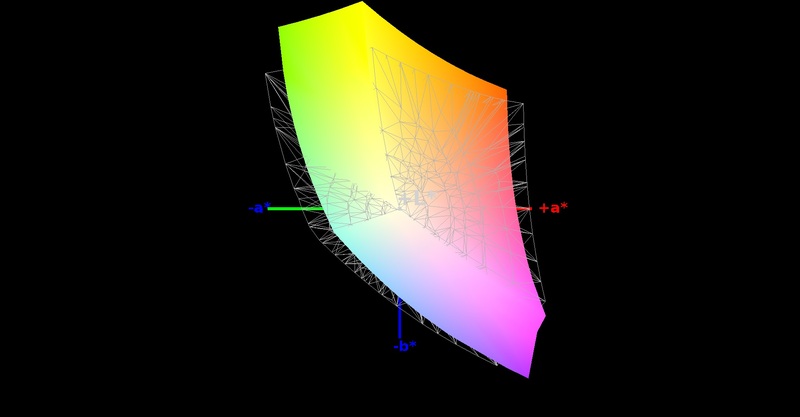 We can determine about 4 hours for WLAN browsing and video playback at an adjusted luminance of 150 nits (-3 levels). Gaming is possible on battery, but the GPU performance is dramatically reduced. 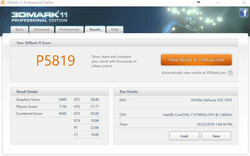 3DMark 11 only determines 5819 points on battery power instead of 14,116 points on mains. … is inside the chassis. In review: HP Omen 17-w110ng. Test model courtesy of Notebooksbilliger. Many people think about business or office notebooks when they hear HP, but the Omen name represents the gaming series from HP. 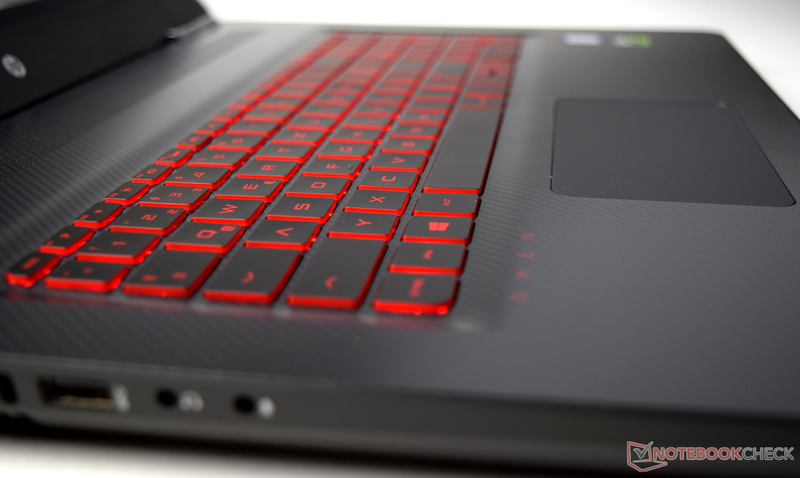 Our test model, the Omen 17-w110ng, can meet the expectations for a gaming notebook. Users get a powerful CPU/GPU combination inside a stylish chassis, but it is only made of plastic and there is no optical drive. The lack of such a drive is not a deal breaker when you consider gaming platforms like Steam, where you can download your games. A bit questionable is the port selection with only three USB 3.0 ports. We would have at least expected one USB 3.1 Gen.2 port with a Type-C connector. HP should also have another look at the input devices. We are talking about the touchpad in particular, which leaves a cheap impression for this price range. The dimensions are not perfect, either, because a height of just 6.5 centimeters (~2.6 in) is not very generous. All things considered, the HP Omen 17-w110ng is a good package for a fair price. The performance of the gaming system does not cause any criticism. 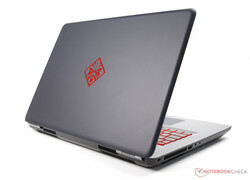 The laptop runs very well, and you can enjoy games without any restrictions. The overall package is pretty convincing, despite the mentioned drawbacks. 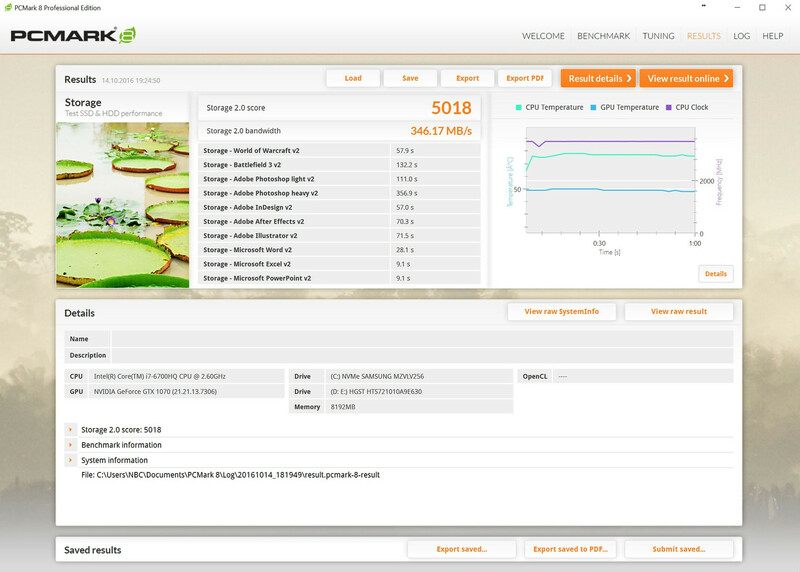 The performance is very good, and the device was designed for gamers, which is supported by our test results. Intel's fast Core i7-6700HQ provides sufficient performance for all applications, and even demanding games can be played in FHD (sometimes even 4K) thanks to Nvidia's GeForce GTX 1070. The price is also appealing at 1800 Euros (~$2007). 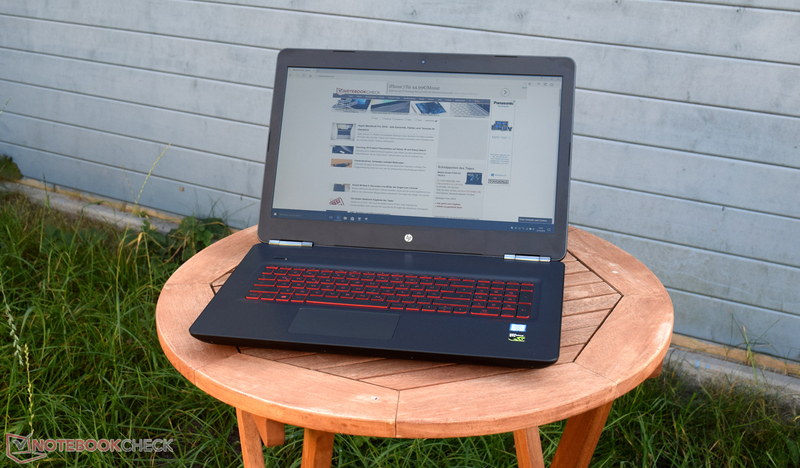 Comparable devices from the competition are often priced between 2000-2500 Euros (~$2230-$2787), so the Omen series from HP should definitely be on your short list.